Q. Phil, in a previous edition of SURFACE we talked about the investment Decorative Panels Components had made in a new state-of-the-art edgebanding line. At that point it was in the process of installation, is the line now fully operational and performing as expected? 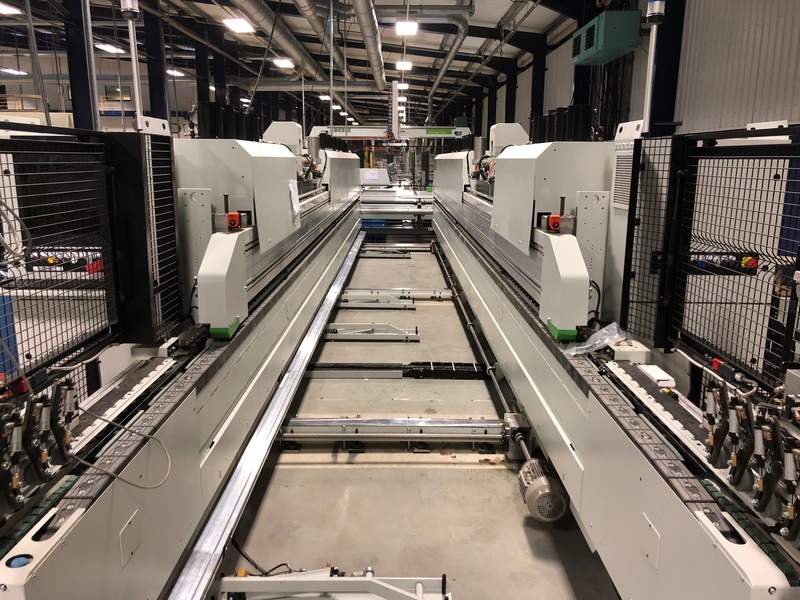 A. I am very pleased to say that the installation, training, and production ramp up are all complete – we are now regularly hitting the performance criteria we stipulated when specifying the line with superb quality on all three gluing systems. Q. Why does the line have three gluing systems? A. With such a high powered line we decided very early on in the process that we should equip the machine to be able to offer good / better and best panel production at the most affordable price points. Our “good” product uses an EVA glueline that is very accurately controlled to ensure that we achieve an optimum bond with as thin a glueline as possible. The “better” system is actually a dual PUR application process, either natural in colour or white. This allows us to select the most suitable glueline colour for the surface material on the panel. Again the application process is one that applies the minimum coat weight so we ensure the finished panel has a virtually invisible joint between edge and face. And then finally we have the “best” option which we call the dp-seamless standard. Using Airforce technology and Rehau Raukantex Pro edgebanding we can offer panels that in effect have no joint line at all – totally seamless. The results we are getting at full processing speeds are truly amazing. Q. Has the dp-seamless line improved factory efficiency? A. The line replaces three manually fed and stacked edgebanders with a fully automatic solution. Output capacity has also more than doubled so yes improved factory efficiencies that we are able to reflect in the most competitive pricing for the highest quality panels has always been the aim for us. Q. How flexible is the line in terms of change over from panel to panel? A. This was a key consideration for us when we specified the line. We fully recognise that fascia production demands flexibility in terms of run length and size complexity but we also wanted to ensure that we could maximise the output of what is a very high speed line. The solution was to ensure that the line was fully NC controlled in every aspect of its operation. This allows us to massively reduce downtime between panel types and sizes, including tape thicknesses which are fed from a multi magazine, whilst still maintaining outputs of up to 32 panels per minute. Q. Can the line cover all aspects of fascia production, even small panels? 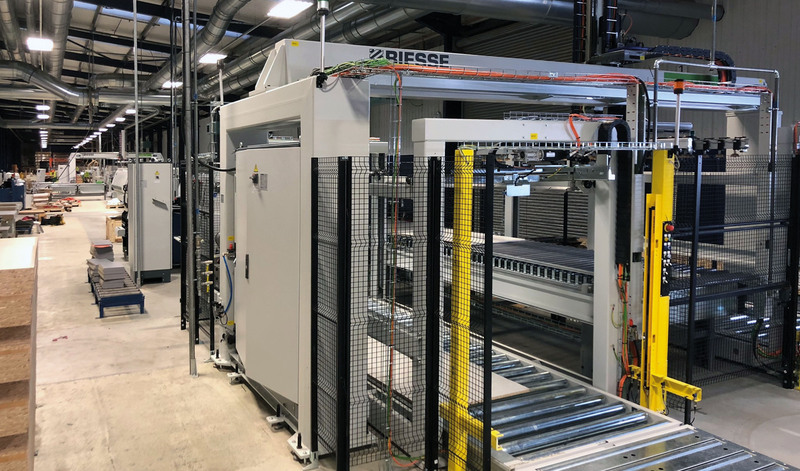 A. Alongside the main dp-seamless line we have installed a brand new Biesse Stream Single sided line that has exactly the same technology on board as the main line including full NC control and all the gluing systems. This enables us to get down to the smallest of drawer front sizes that require edging on all sides with a finished panel quality that is exactly the same as the main line – seamless! Q. Does dp-seamless open new market areas for Decorative Panels? A. Absolutely – not only can we now offer the very best fascia in the market to our existing customers in the KBB sector, in much higher volume than before, we are now able to also process materials and finishes such as those we offer in our dp-limitless portfolio to the highest possible finished panel standard for the architect and specifier markets. Q. So now we have increased our edgebanding capacity what comes next? A. Well I don’t want to give too much away at this stage but suffice it to say we have made some very bold investment decisions that will hit the factory later this year. These will further increase not only our ability to grow output but also our ability to service new sectors. I am sure that we will be able to share more on this in future.